He remained with Gillot for a year, enjoying increasing plaudits and success but his friendship with Watteau took a blow when Lancret exhibited two works that were so similar in style to Watteau's that some attributed them to him. The older painter was aggrieved that Lancret had apparently copied his style though this personal upset certainly did no damage to Lancret's career, the new toast of Paris in more demand than ever. 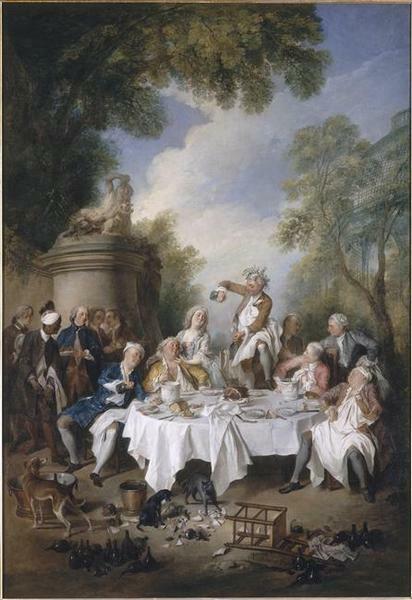 Though his initial training with d'Ulin had been as a history painter, Lancret eventually specialised in light scenes depicting members of the nobility who were, essentially, having fun. 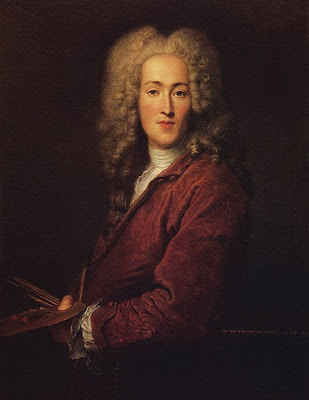 His career gathered speed at a remarkable rate and in 1718 he joined the Académie Royale in Paris as a painter of fêtes galantes, a category that only existed because of Watteau. He became hugely popular with the great and good of Paris following the deaths of both Watteau and Gillot. After his first royal commission in 1725, Louis XV became a particular fan and soon his works were hanging in palaces across Europe. So great was his reputation that he was appointed a councillor at the Académie in 1735. He proved himself a canny operator in terms of business too, raking in the profits from prints and engravings sold after his paintings. 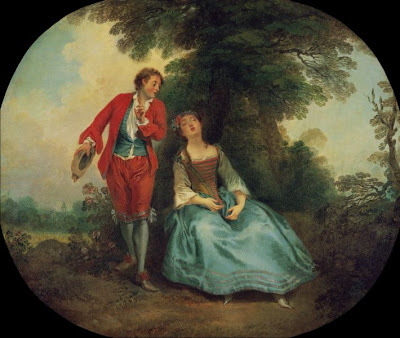 With his career enjoying such success, Lancret did not find time to marry until 1741 when he wed an 18 year girl, supposedly to save her from entering a convent. Just two years later he fell victim to pneumonia, leaving behind a rich collection of over 700 works in a variety of genres, all of them distinctly Lancret. Would you like to see more? My Pinterest board is happy to oblige! All that success and only two years of marriage before succumbing to pneumonia! I know; what bad luck! Aren't they beautiful? I just want to step into them!